Natterjack Toad is a species of toad native to various regions of Europe. The adults of this species are identified by a yellow line running down their backs. They are protected under various laws in all the countries where they are found. This species can be easily identified by their distinctive appearance and coloration. Size: The length of their bodies range from 6 cm to 8 cm. But the males can grow 10 cm in length. Color: Their dorsal sides can be olive, brown or grey in color and are covered in warts. The color of these warts ranges from green to red and dark brown. They have a bright yellow line running from the top of their snouts down their backs. The underbellies are creamy white with dark green spots. The off-white throats of the males are tinted with blue or purple. Body: They have flattened bodies with short limbs and partly webbed feet. The males develop nuptial pads during the mating season. 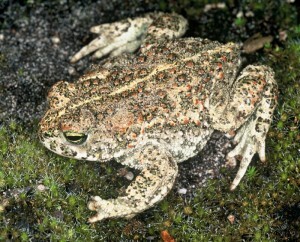 Head: The eardrums of this species are less visible compared to that of the Common toads. Natterjack Toads also have two parotoid glands located behind their eyes. Eyes: Their green or golden eyes have horizontal black pupils. They have black irises. Their distribution range extends from south-western and western regions of Europe to Ukraine and Belarus in the east. This Toad species is also found in the coastal areas of the British Isles. In the United Kingdom, they are naturally found in 39 locations and are introduced in 13 additional locations. These amphibians live in open fields and grasslands with sandy soils where they can dig their burrows. They are commonly found in salt marshes, sand dune systems and lowland heaths. This species is also found in shallow temporary ponds as they require water to reproduce. Despite being amphibians, Natterjack Toads do not live in deep waters as they cannot swim very well. The adults of this species feed on a range of small invertebrates including ants, woodlice, mollusks, worms, moths, spiders and ground beetles. Small reptiles are also a part of their diet. The tadpoles initially feed on algae, later moving on to a diet of dead fishes, tadpoles and other small aquatic animals. It is nocturnal in nature, being an active hunter during night. They are quite aggressive in nature and chase their prey in order to catch them. The Natterjacks capture small insects with a very quick flick of their sticky tongues. The males call loudly during the mating season to attract the females. They rest at their burrow entrances during daytime so that they can escape into the burrows if threatened by a potential predator. Various birds such as magpies, herons and crows are known to prey on them. Other predators include otters, weasels, foxes, rats, great crested newt, hedgehogs, grass snakes and stoats. The tadpoles of Natterjack Toads are the prey of fishes, toads, frogs and birds. Aquatic larvae of many insects like beetles and dragonflies also feed on the tadpoles. The adaptive features of this species help them to survive in their natural habitat. They cannot jump or hop like other toad species. Due to this reason, their short hind legs are adapted for running at an excellent speed. These creatures are adapted to have a prolonged reproductive season so that they can use temporary pools for breeding. The yellow lines on their backs work as a camouflage as it lets the toads hide among sand sedge plants growing in their habitats. 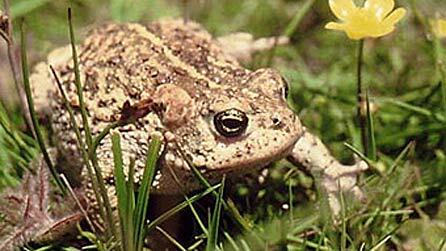 Natterjack Toads secrete a poisonous substance from their skin which helps them to avoid being preyed on. Their mating season starts during late April and continues through July. The toads of this species become reproductively mature at 3 to 4 years of age. Mating takes place in the warm waters of temporary ponds. The male Natterjack Toads arrive at the mating ponds and call loudly to attract the females. The nuptial pads of the males help them during mating. Females lay 1500 to 5000 eggs in the form of a string. The eggs are laid in the shallow pond water in a double row which later becomes a single row. The temporary breeding ponds tend to dry out within a very short time after the eggs are laid. Due to this reason, the Natterjack Toad eggs take just 7 to 10 days to hatch into tadpoles. The tadpoles take another 6 to 8 weeks to metamorphose into toadlets. The small toadlets have dark colored bodies after they emerge from water. But they have the distinctive yellow line on their backs. The average lifespan of these toads is around 15 years. Hibernation begins around late October or early November. The toads of this species dig burrows in sand and hibernate in them. They come out of their hibernation dens in April. 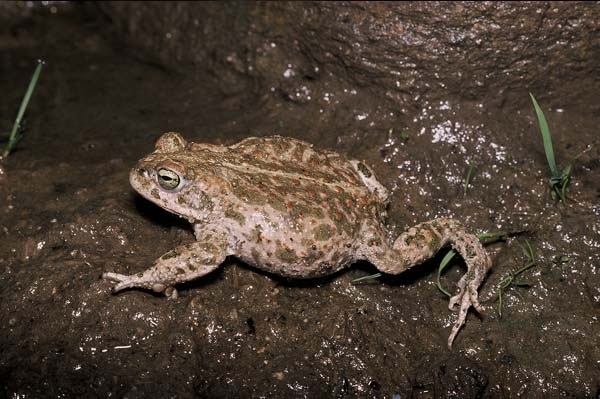 Male Natterjack Toads have a very distinctive mating call. They make a rasping sound which is amplified by the external vocal sacs located under their chins. They mainly call in groups during night. It is illegal to capture these toads or their tadpoles in all the countries they are found in. Due to this reason, they are not generally kept as pets. One should check with all the local and federal laws to acquire special license to own a Natterjack Toad. This species is included in the “Least Concern” category by the IUCN. They are protected by various laws in different European countries. In the United Kingdom, they are protected by the national Biodiversity Action Plan. The Natterjack Toad populations are decreasing in number due to various reasons like habitat loss and pollution. The former scientific name of this species “Bufo calamita” means “running toad”. They derived this name from the fact that they move by running rather than hopping. This is the only Toad species native to Ireland. 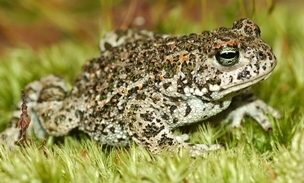 The call of the male Natterjack Toad can be heard from distances of several kilometers. These creatures are often considered to be the noisiest amphibians of Europe. Here are some images of this Toad.